The Galaxy Centre, Torquay played host and sponsor to the West of England Open Billiards Championship 2017. The event attracted exponents of English Billiards from afar afield as Wales, Hampshire and Wiltshire to join in competition with players from nearby Devon, Cornwall and Somerset. Players played five rounds of competition in order to reduce the field to eight qualifiers; Steve Brookshaw (Plymouth), Ryan Mears (Aldershot), Barry Russell (Saltash), Dave White, (Bude), Royn Jenkins (Wrington Vale), Chris Coumbe (Plymouth), Alex Donne (Newport) & Geoff Lingard (Camelford). Lingard had to pull out of the completion at this stage due to injury, this promoted Mahmoud Alzaid (Chichester) into the top eight. The best run of breaks in the round robin came from arguably the two strong favourites; Steve Brookshaw with runs of (59,60,61,62,69,73) and Dave White (53,59,63,67,69). The quarter finals of the main event saw Brookshaw defeat Alzaid 271-156, Brookshaw posting the only century of the day a competent 109. Coumbe overcame Russell 263-165, Coumbe finishing with a 51 unfinished break. Mears proved that he might challenge the two favourites in beating Alex Donne 362-117, Mears had runs of 53 & 73. In the semi’s Coumbe capitalised on a lull in scoring from Brookshaw to win 250-199 and reach the final whilst White, aided with a 76 break, defeated Mears 247-189. The final proved to be a one-sided contest with White posting a string of breaks (81,65,58,52) to win 363-95. The remaining players competed in the Plate which was won by Nigel Ward who beat Ray Mears 241-211. Tournament Director from the West of England Billiards & Snooker Foundation said, “Our motto is ‘Billiards & Snooker for All’. 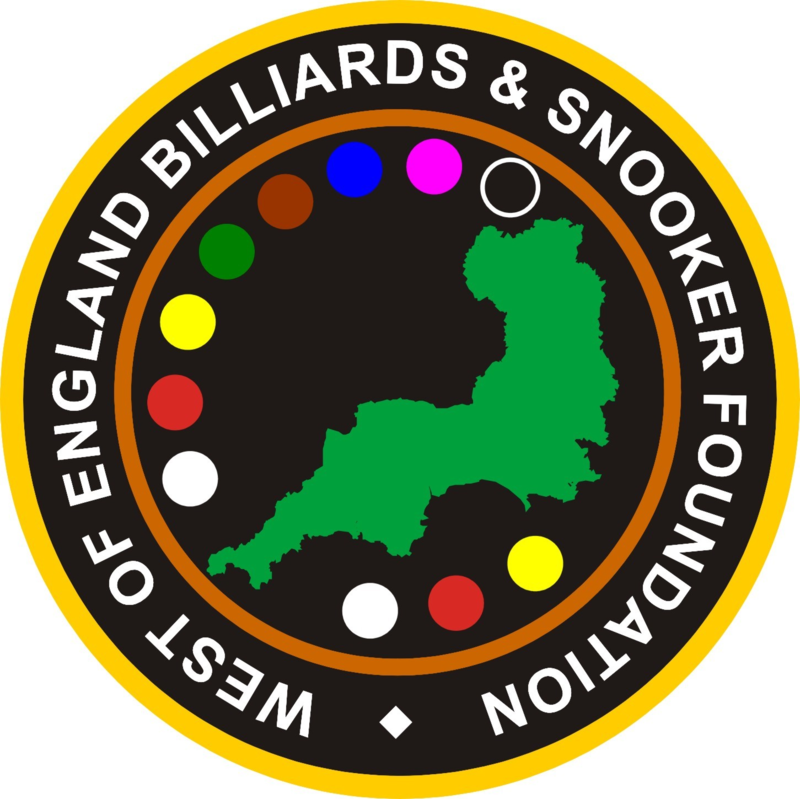 With several WEBSF Snooker tournaments already this season it is very satisfying to stage this English Billiards tournament as they are few and far between here in the West Country. However, after the support we have received today, this will now be a regular feature in our tournament calendar.” Any player interested in entering WEBSF events or potential volunteers willing to get involved with the work of the WEBSF they should contact Steve Canniford, Mobile 07891940995 or visit http://www.websfsnooker.com or WEBSF Facebook. Thanks to The Galaxy Centre, Torquay who sponsored this event.